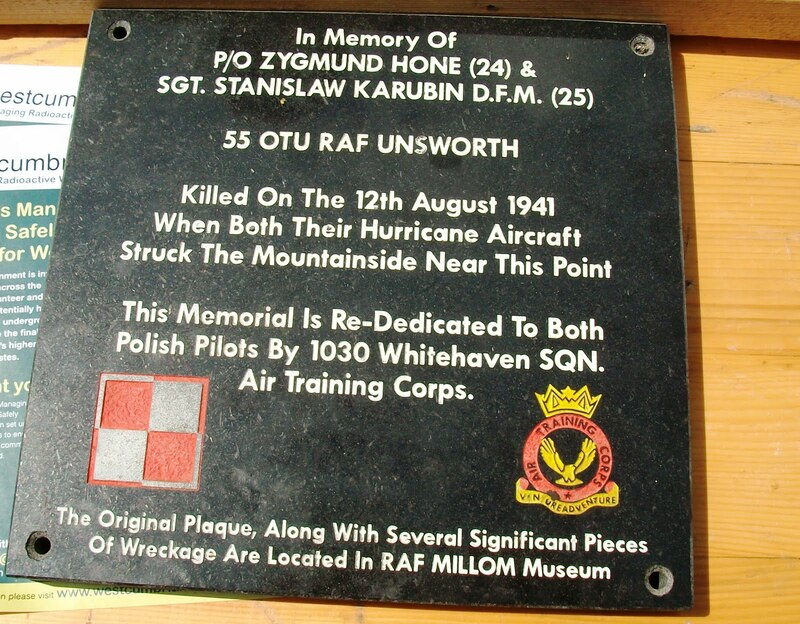 The above plaque was a ‘practice’ memorial plaque commissioned by 1030 Whitehaven Squadron Air Cadets to commemorate two Polish pilots who lost their lives during a training flight over the Cumbrian fells on 12 August 1941. There are some spelling mistakes on the plaque that were corrected when the finalised version was made and placed on the hillside. 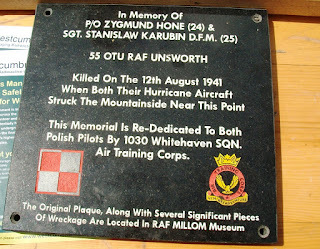 This particular plaque is held by RAF Millom Museum. It was on display at the Whitehaven Festival in June 2010. On the same weekend, on Sunday 27 June 2010 the local Cadet Forces of the RAF, Army and Navy were granted the Freedom of the Borough of Copeland by the Copeland Borough Council. This weekend also coincided with the Armed Forces Veterans Week marked throughout the UK.